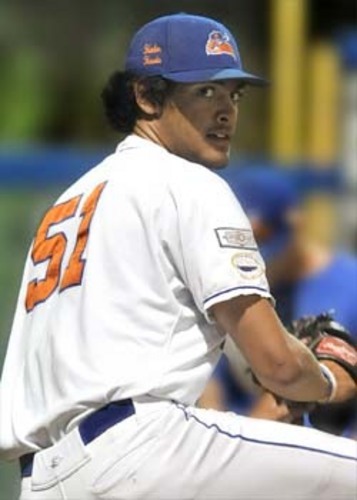 Southpaw Sean Manaea (Indiana State) of the Hyannis Harbor Hawks turned in another brilliant pitching performance that earned him a starting spot on the mound for the Cape Cod Baseball League All-Star game Saturday in Harwich and the Coca Cola Pitcher of the Week. Manaea began the game last Thursday against Falmouth by striking out four of the first six batters and maintained a no-hitter until the end of the sixth inning. He finished his season high performance with 92 pitches in seven innings, only allowing two hits and striking out a league-high 15 batters. He currently holds the strikeout lead in the league with 66, along with a shining 1.67 ERA. Hailing from Wanatah Ind., Manaea pitches for Indiana State and ended the 2012 season going 5-2 with a 3.50 ERA and 16 starts. He posted 106 strikeouts in 97.2 innings, making him one ten pitchers in ISU history with over 100 strikeouts in a single season. One of his season bests included tossing nine scoreless innings at Creighton. 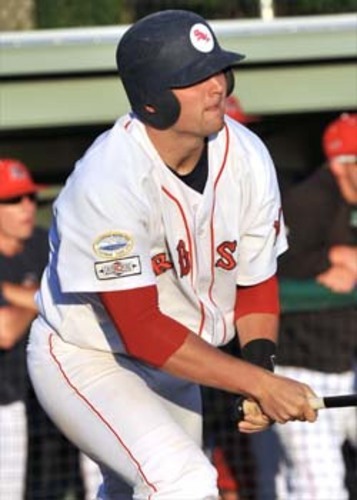 The Yarmouth-Dennis Red Sox are near the top of the East Division thanks to players like Sam Travis (Indiana), who earned himself Coca Cola’s Player of the Week. In last Monday’s game vs. Harwich, Travis helped pull Y-D into a first place tie with the Harwich Mariners by knocking in three runs, two hits and a two-run double. Despite YD’s 14-inning loss to Bourne last Saturday, Travis Travis went 4-for-6, including an eighth inning double. He raised his batting average to .363 after this week’s impressive performances. Travis, a native of Orland Park, Ill, finished his freshman year at Indiana University, posting a .319 batting average and named Big Ten Freshman of the year. Travis ranked in the conference’s top ten in six categories, including 50 RBI, 17 doubles and nine homers.